This fabric is sold by the "panel"; not by the yard. A panel is 44" by 16". 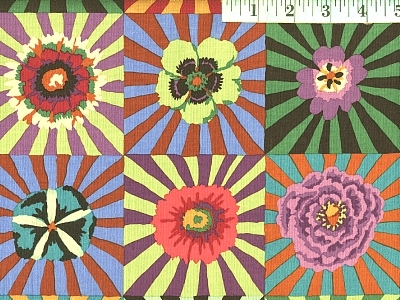 A panel contains one of every style of sunburst.